The plastic bumpers for New Actros are not finished, will be in next versions! Put my mod above them. If something its not working contact me but they were tested in a clean profile 1.31. Thanks again to Schumi for let me edit his mods. -Fixed DAF XF Euro6 for last update v2.7. 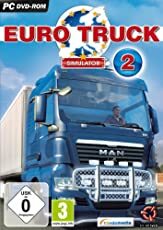 No update for Volvo FH16 2009 in this version! -The plastic bumpers for New Actros are not finished, will be in next versions! *Put my mod above them. If something its not working contact me but they were tested in a clean profile 1.34. -Added shorted spoiler for Low Roof cab MP3. -Fixed Daf XF E6 for last version. 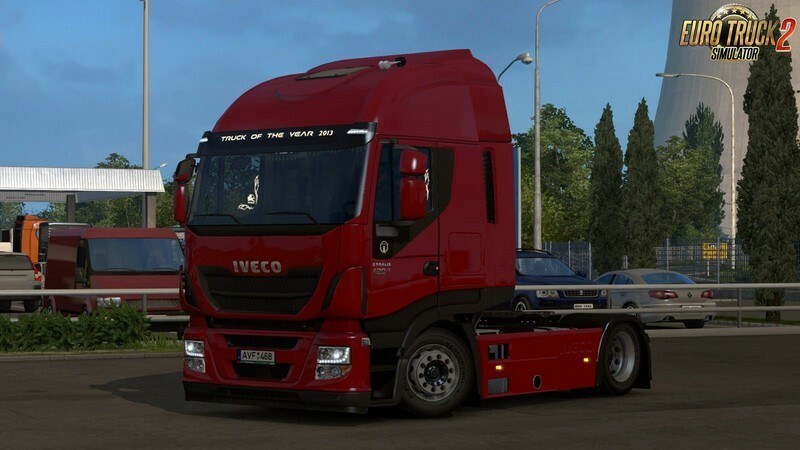 -Fixed Iveco HiWay for last version. -Added new fueltanks for Iveco HiWay. -Changed the names of the files matching the version of the Schumi's mods. -Added spare wheel for MP3 & New Actros. -Reworked rear fender on New Actros. -Added chrome/steel/painted fueltanks for New Actros, the painted use the base color of the paintjob. 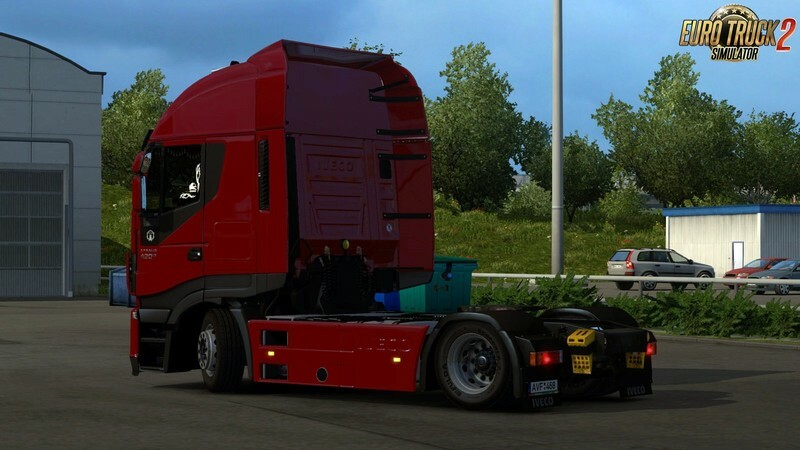 -Added new spoilers/fenders for New Actros. -Added shorted spoilers for MP3 MegaSpace cab. -Fixed number plates icons and added plates for Volvo FH16. -Added low deck chassis for Volvo FH3. -Fixed bugs on other chassis. -Added new front fenders for MP3. -New fueltanks for Renault Premium. -Fixed uvmap on DAF XF E6. pmd, pmg and def files to add them to the original mods by Schumi!!! If something its not working contact me but they were tested in a clean profile 1.33. Low deck chassis addons for Schumi's trucks. - Updated Daf XF 105 for new tuning and update. - Added ATe badge for Daf XF 105. - Added ATe raised spoiler for DAF XF 105. - Added old rear fender with ATe/Euro6 taillights. 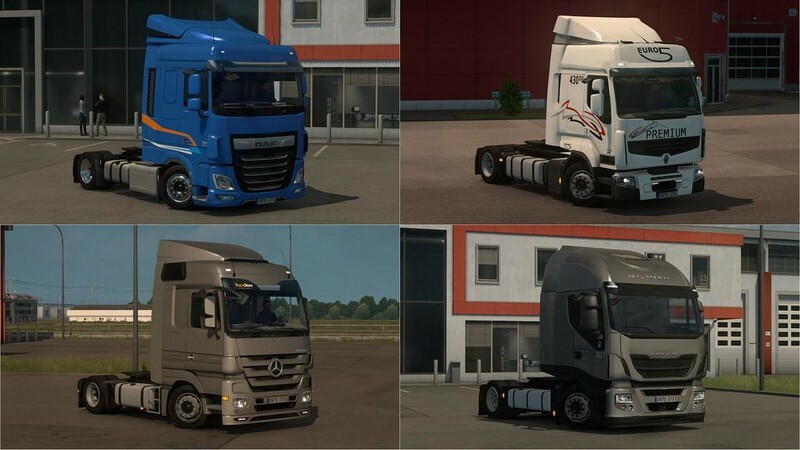 - Added new chrome parts for New Actros lowdeck bumpers and front fenders. 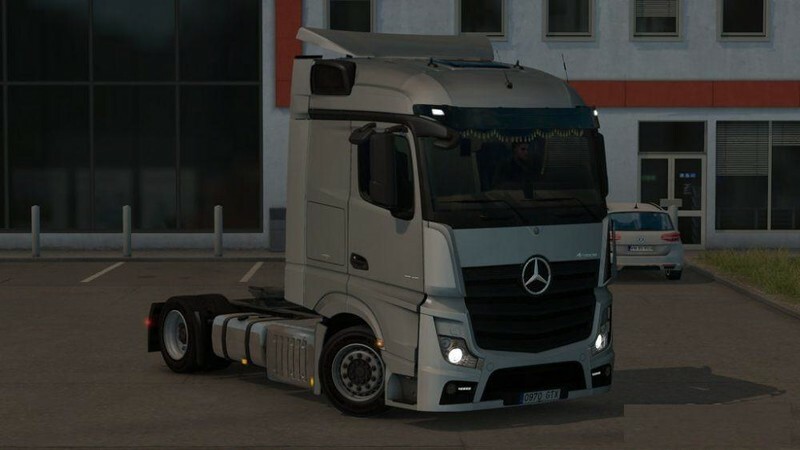 - Added plastic/painted sideskirts with exhaust but without chrome stripe for New Actros. - Added the facelift lowdeck chassis for Daf XF E6. - Added Romanian and Moldavian number plates. - Added Daf XF 105, 4 chassis(Spare wheel removed). - Raised spoiler for Daf XF 105. - Fixed bumpers/lights and spoiler color for MP3. - Fixed side stairs for V2 plastic sideskirts. - Fixed scs number plate for New Actros. 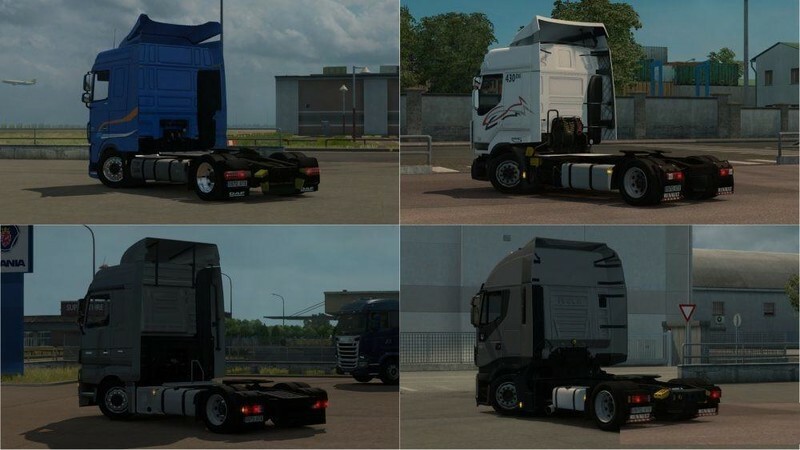 - Added New Actros parts for MP3, side mirror and taillights (Select from wings). - Added Italian number plates.